Mission: Surgical data science is a scientific discipline with the objective of improving the quality of interventional healthcare and its value through capturing, organization, analysis, and modeling of data. The Surgical Data Science Initiative was founded to advance the emerging field of Surgical Data Science by international collaboration. 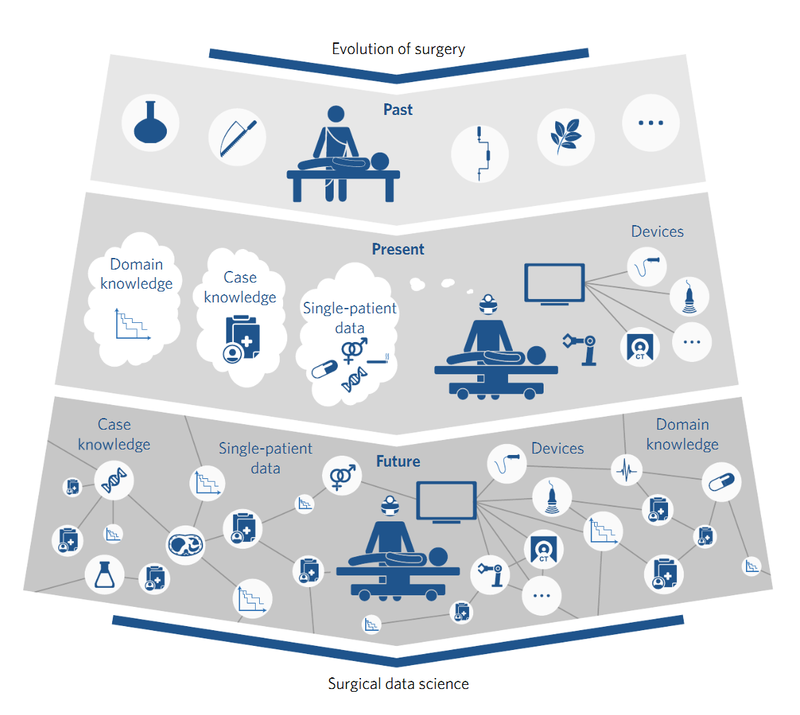 Previous events: The 1st workshop on Surgical Data Science was inspired by current open space and think tank formats and was organized in June 2016 in Heidelberg. Key results of this first workshop were a common definition of the field of surgical data science (see Fig. 1) as well as two white papers [1,2] that identify, present and discuss key initiatives, potential standards, new results, and challenges in the context of surgical data data. Upcoming events: The second edition of the workshop will take place on June 17th 2019 in Rennes, France. You will soon be able to register to the event.